Microsoft is putting some real weight into the release of the new Windows Phone 7. Various promotions are popping up around the world with the today’s launch date and the November launch date approaching fast. 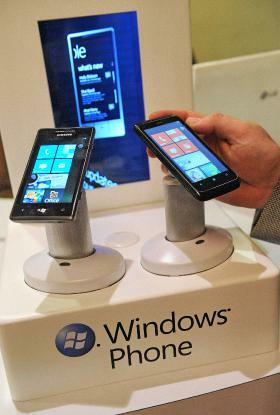 The best deals for potential Windows Phone 7 customers are coming out of parts of Europe. People in Austria and parts of Spain should look to respective carriers A1 (Austria) and Movistar (Spain) for a huge deal. A1 is offering a great deal to everyone who buys a new Windows Phone 7 handset during the launch window. A brand new Xbox 360! Customers of Spain’s Movistar have a similar offer popping up. If you’re one of the first 100 customers to buy a Windows Phone 7 device on launch day at the Movistar Central Madrid store, you’ll get a free Xbox 360 also! It’s not as good as the A1 deal, but still a free Xbox 360, come on that’s pretty cool. Some of phones available to users in Europe include LG Optimus 7, HTC HD7 and Samsung Omnia 7. In the US, AT&T is offering up a smaller deal for new Windows Phone 7 customers. Unfortunately it’s not a new Xbox 360, but instead a free month of Microsoft’s Zune Pass. It seems this deal will apply to everyone who buys a new Windows Phone 7 device from AT&T. Microsoft also has a offer along those same lines. If you sign up for Windows Phone pre-order notifications and eventually decide buy a phone, you are eligible for three free months of the Zune Pass subscription service. I’m sure more deals will emerge as the November launch date gets closer. Any readers out there that hear of anymore cool Windows Phone 7 offers, please dr0p us a line!